You wash your car when it gets dirty, so why not wash your home? After all, your home is a reflection of you. 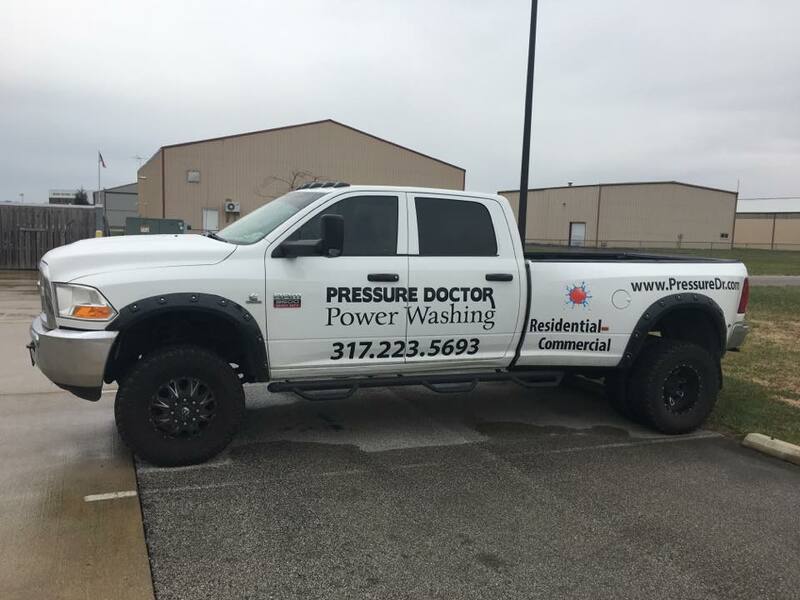 When you call Pressure Doctor Inc. Power Washing to wash your property, you can be confident knowing that our goal is to provide you with the highest quality service. With our knowledgeable staff, we use professional-standard equipment and the latest cleaning solutions in the industry. Our work will not only leave your home gleaming, but its newfound shine will last. If you’re looking to sell your home in Indianapolis, a newly cleaned exterior will look more appealing to potential buyers. If they don’t like the way the outside looks, there’s a good chance they won’t be interested in looking inside. If your property needs a refresh, click one of the buttons below to get in touch with us! Your satisfaction is our number one priority. If you're not happy with the results, we'll come back to ensure that you are! "The staff was easy to work with and stayed in close contact throughout the entire process. They also did a great job cleaning the house. I was very pleased with everything." 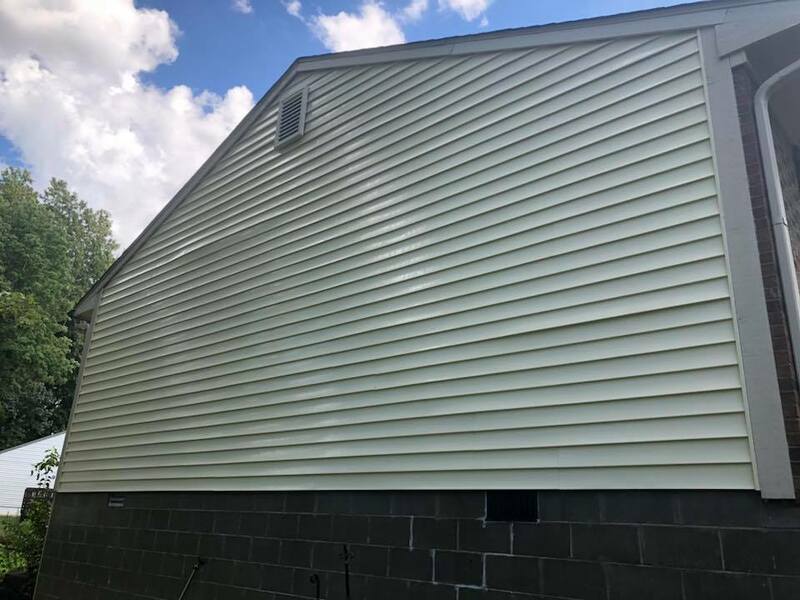 When the vinyl siding on your home becomes covered with dirt and other unwanted substances, it’s time to take action. House washing is necessary if you want to maintain or increase the value of your home. We use soft wash cleaning methods. This takes away the risk of damage to your property from high pressure washing whilst still ensuring the highest level of cleanliness. To reduce any risk of damage, we use a polymer based wax that can be applied after our cleaning rinse. This brings any dull vinyl back to life and adds a protective barrier to the siding. Our wax repels dirt from the surface and delays the growth of any mold. This increases the length of time between house cleans and ultimately saves you money. "Pressure Doctor arrived on time and the technician couldn't have been more thorough and helpful. Our house and deck look brand new. My husband and I look out the windows and marvel at how beautiful it all is. We live on the White River among many trees and every spring our house and deck have serious green mold to remove. Today it looks fresh, clean, and so different. We highly recommend your services. Thank you." Keeping your driveway and sidewalk free from stains and the growth of nasty substances is extremely important for safety reasons. When things like algae and mold start to show up or grow on the surface, it becomes dangerous to walk on, especially if it’s wet. And it’s likely that you bring these substances into your home on the bottom of your shoes too! Cleaning driveways and sidewalks requires the use of specialized equipment. If too much pressure is applied, this can leave permanent damage and stains on your property. The idea of doing it yourself can turn into the least cost-effective solution. We have the expertise to apply the best cleaning solutions to your concrete without the risk of damage, saving you a lot of money in the long-run. To extend the life of your concrete, we recommend that it’s sealed. There are various options available and we'll make sure that it's bespoke to your needs. Call us or book online using the buttons below to find out the best options for your property. "Had the driveway cleaned and sealed and it looks amazing! Thank you for doing such a great job! I will be a repeat customer! Thanks again"
If the appearance of your business doesn’t look appealing from the outside with dirty, gum-stained concrete, this gives a bad first impression. 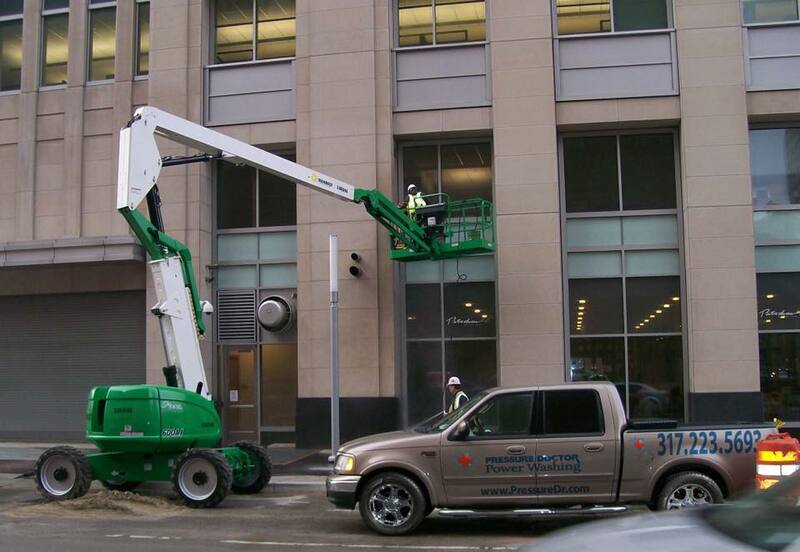 We're trusted by companies across Indianapolis and its surrounding counties for their pressure washing needs. From cleaning concrete to handling exterior building washing, we take pride in the quality of our work and the results we achieve for you. We use commercial grade pressure washing equipment so only the best results will come from our wash. 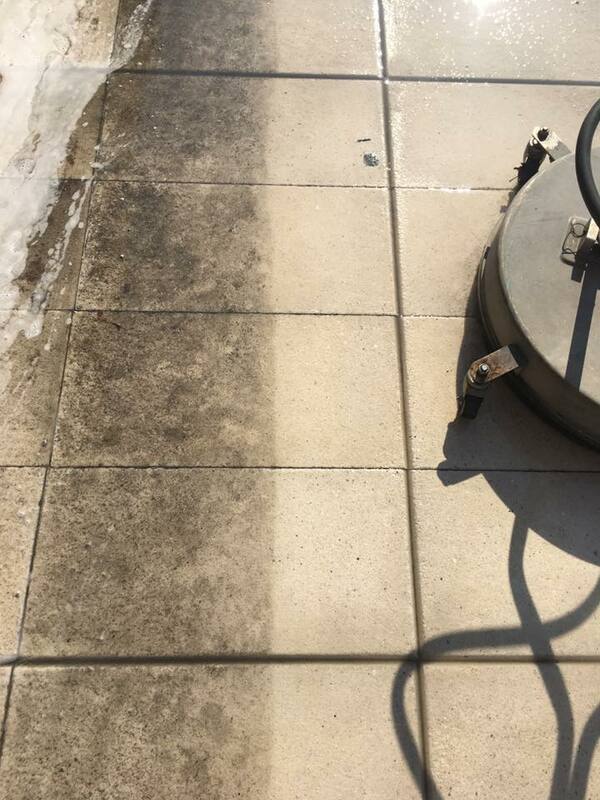 Hot water capabilities makes gum removal from sidewalks a breeze, enabling you to maintain a professional appearance for your business. We also offer a “work while you sleep” service, meaning we can clean your concrete whilst you are closed so your business can operate as usual, with no disruption. 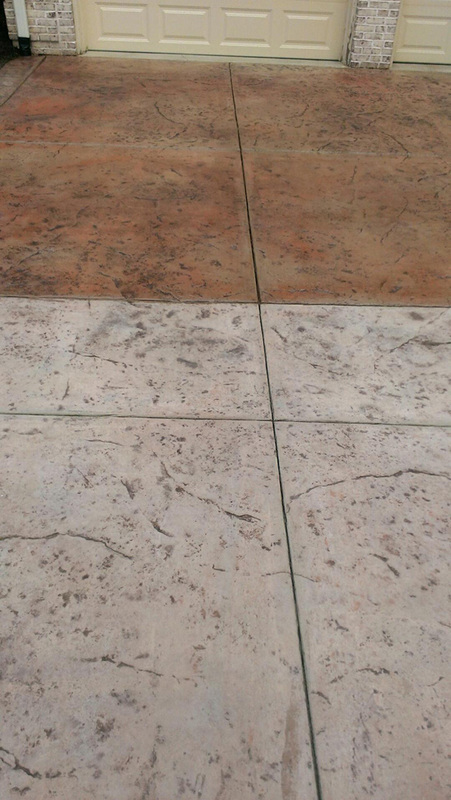 When cleaning concrete, we understand this requires a higher pressure to get the best results. Because of this, we ensure that our cleaning solution is the best for the task at hand, alleviating any risks of potential damages to surfaces. When operating a business, you know how often your front entrances and sidewalks can become dirty. We have a Regular Maintenance Program which is designed to fit any schedule and budget. With Pressure Doctor Inc. Power Washing, you can rest assured that the concrete outside of your business will look great all year around, helping to attract more customers. "We are a high traffic — 2 commercial, 2 restaurant and several office building, dealing with over 700 employees alone with restaurant grease issues etc. 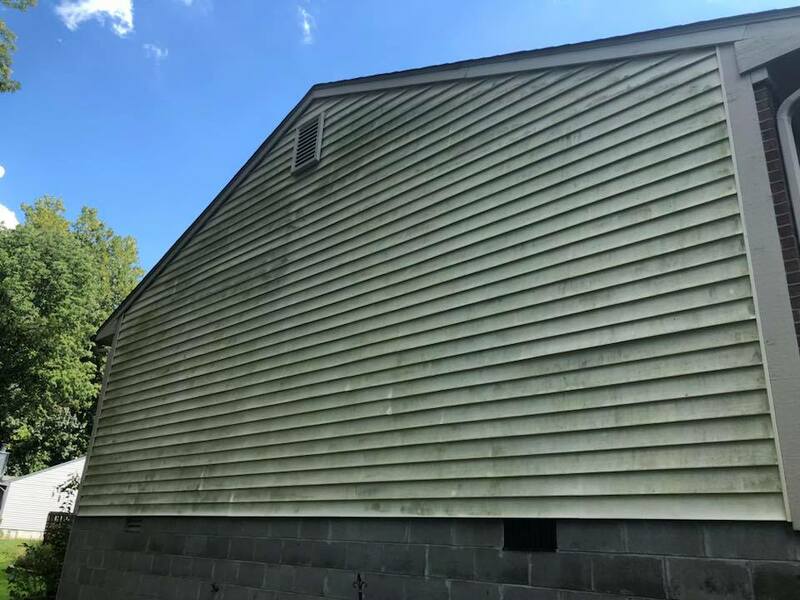 Pressure Doctor has a wonderful, friendly staff, very thorough and definitely saving our first impression curb appeal"
Ever wonder what those black streaks are on your roof? Those black streaks are mold, algae and lichen and they are actually living on and eating your shingles. In the late 1980s, roofing manufacturers reformulated asphalt shingles, removing some asphalt and replacing it with crushed limestone. This limestone is the food source for the algae. Left untreated, this can shorten shingle life and increase electric bills due to the loss of the reflective granules. The black streaks usually begin on the north side of the roof the side where trees block the sun from reaching it. This provides a few extra hours of morning dew or delays the evaporation of rain, which provides a moist environment — which is ideal for mold and algae growth. Utilizing our soft wash roof cleaning methods, combined with the best high-grade commercial detergents, we're able to provide the highest level of cleanliness without the risk of damage from high-pressure methods. Our roof cleaning solutions are approved by the Asphalt Roofing Manufacturers Association (ARMA), and provide enough cleaning power to remove all mold, algae and black streaks from your roof without any pressure washing or heavy rinsing. We never use pressure to clean your roof shingles. 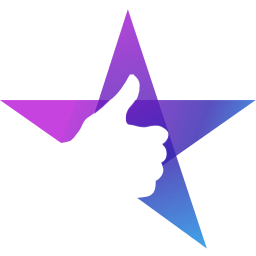 ""They were on time, did a great job, very friendly. My roof and driveway look GREAT! Thanks Pressure Doctor."" Pressure Doctor Inc. Power Washing is a locally-owned and family-operated business with over 12 years of experience in the industry. Our goal is to provide you with the highest quality customer service for all your cleaning needs. We do this by staying up to date with the latest cleaning processes and using only the highest-grade commercial detergents. From attending conferences to industry networking, we keep up with the latest innovations. This allows us to make sure that your home or business is cleaned to an exceptional standard — always. 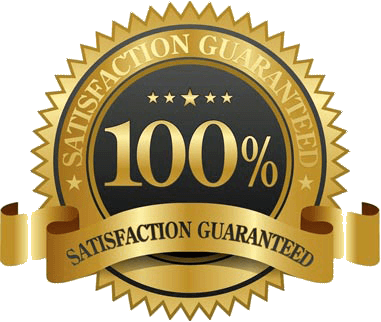 If you would like to improve the value of your home or increase the curb appeal of your business through our pressure washing services, click one of the buttons below and we're happy to help!